Amazing Green Raw Reserve Green Superfood is a confluence Of Algaes, Cereal Grasses, Sea Vegetables & Other Functional Foods. On their family run farm in the middle of Kansas, they've devoted hundreds of acres to growing the most nutrient dense cereal grasses on the face of the Earth. Building on this foundation, we’ve added some of the most functional food sources available from land, fresh water and the sea. A blend of AFA’s, spirulina, chlorella and sea vegetables from the coast of Maine, like kelp and sea lettuce. Offering an array of free radical fighting plants and herbs, each ingredient in Raw Reserve is completely raw, vegan and of the highest quality. 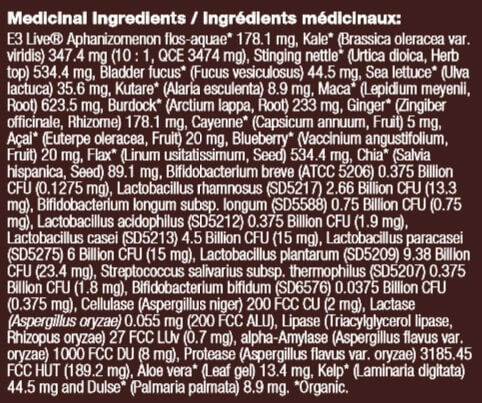 Plus, each serving contains over 25 billion live probiotics at the time of bottling. 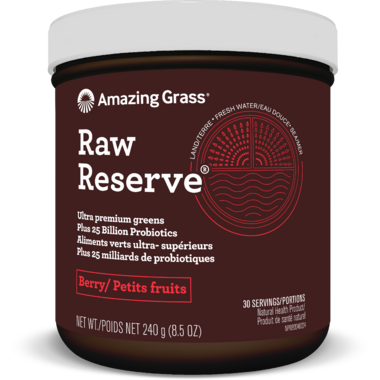 Nothing short of Amazing, Raw Reserve is our testament to the incredible power of nutrition. The 240 g bottle has 30 servings and a convenient scoop. 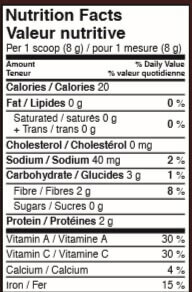 Serving size: one scoop, 8 grams. Mix one serving with 6 or more oz. of water, juice, or your favorite smoothie. 1-2 servings daily. This powder tastes great and goes well in a variety of smoothie blends or on its own. I love that it contains greens and probiotics in one! Digests easily, amazing!